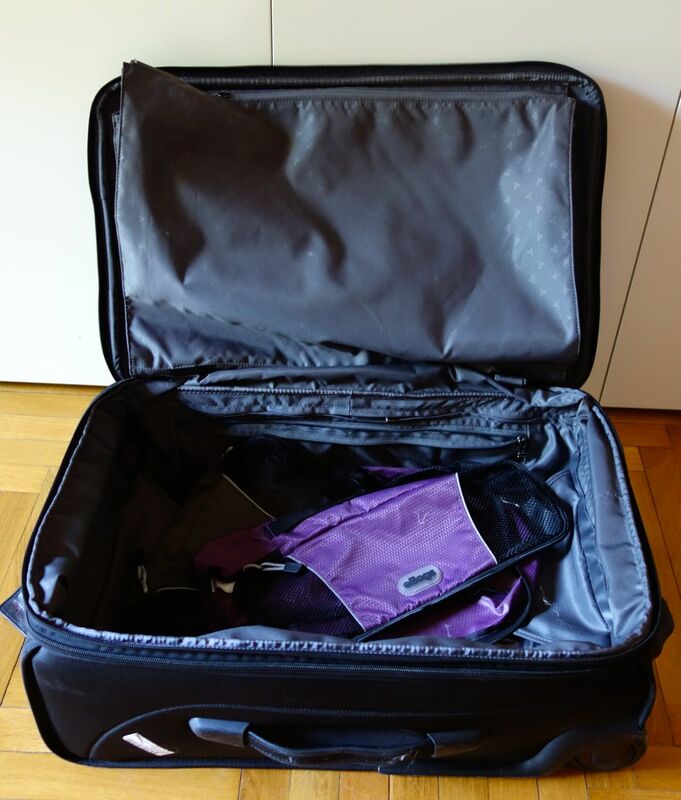 When deciding what to pack for Rome, the first thing you need to consider is the minimal amount of luggage that you are allowed to bring on the plane these days. Remember the old rule of thumb: pack your suitcase, then, take out half the clothes, and bring twice the money. I am not sure about the money part of that advice, since now there are ATMs and credit cards. But when it comes to clothes, laundromats in Rome abound, especially near the Termini train station. Some hotels also provide a laundry service. If luggage weight restrictions will limit what you can pack for your trip to Rome, ask your hotel before you come if they have laundry services, or if they can tell you if there is a laundromat nearby. One of my favorite things to help me pack are ebags , pictured above. They help me organize, and keep stuff from moving around in my suitcase. Also great for lumping together workout clothes or toilettries. After years of coming to visit my husband (to-be), and now living here, I became an expert at what to pack for Rome. One last thing not to forget to bring! Plug converters for your dual-voltage appliances. Voltage in Italy is 220, and in the US and some other countries, it's 110. Most electronic devices such as cameras, cell phones, laptops and electric shavers are dual voltage by default. But you need a plug adapter since the shapes of the plugs are different here. If you travel to different parts of the world, you can buy a universal adapter like the one shown. Apple also sells a nice plug adapter set, although it may have more adapters (for parts of the world) that you don't need. My sister told me about this power strip/plug converter. As she put it, "with 4 people and all our devices, this one thing is all we need." BE AWARE: There is a BIG DIFFERENCE between plug converter and voltage convert. Keep in mind that a plug adapter will not convert voltage for you. I would suggest avoiding trying to convert voltage since there is also wattage to take into consideration. I have seen many an American hair-straightener fried here. Washcloths if you like to use them, particularly if you are travelling with a baby. These are not items one finds in a typical household in Italy, and hotels don't usually have them - you will usually find a large bath towel and a smaller towel, such as for drying your hair. You can buy washcloths here, if you need to, at some of the linen/bath shops such as Frette and Tebro. Earplugs if you are a light sleeper. Rome is a big, busy city, and even if a hotel has good soundproofing, you may hear some ambient city noises. If you forget these, you can always buy them at the pharmacy. I know this might seem odd but since my mom does this, I figure others might find it useful: If you love your sweetener, bring some in a little plastic ziploc baggie, or in mini-tablet form. The sweetener used at bars/cafe's here is called Dietor, and is like Sweet N Lo. If you prefer Splenda or Equal, bring it with you. You will likely be doing a lot of walking in Rome, so the key is to be comfortable. Try to avoid bringing shoes you have not broken in. Tennis shoes (trainers, sneakers), hiking shoes or other types of durable sports shoes are probably your best bet. No, you won't look like a poshly-dressed Roman, but you are sightseeing in Rome...you are a tourist! You are not only allowed to dress comfortably, you should! Picture getting your heels caught in these sanpietrini, which are all over Rome - no fun! Pack comfortable shoes, preferably with little or no heel. Rome is full of cobblestone streets. Whenever I wear heels, try as I might to avoid it, they always get caught in between the little stones...how do those Roman women do it? I guess it takes a lifetime of practice, or maybe they are just born to be elegant! And if you are like me, count on leaving some room in your luggage for some eventual clothing and shoes purchases! It's fine to dress casually to go sightseeing in Rome. T-shirts, jeans, tennis shoes, sundresses and sandals are all appropriate for any of the Rome sights, the Vatican﻿. You should be comfortable since so much of the best sight-seeing in Rome involves walking. To enter any Christian sight, including any church (certainly the Vatican) and the Catacombs, you must be dressed appropriately: no bare knees, shoulders or midriffs. You may still dress casually, but modesty is what counts. As for shorts, most adult Romans will not wear short shorts in the city even during the hottest months. In summer, Roman women tend to wear capri or linen pants, sundresses or skirts. Roman men wear linen pants, and some might wear long bermuda shorts. Want to dress like a Roman? Carry a scarf! Yes, men and women in Rome wear scarves. Year-round. They do it partly to protect their necks from chill or any breeze, and partly because it's stylish. A scarf or pareo is a must-have when travelling in Rome. You can use it on chilly airplanes, or to cover your shoulders to go into churches, even on hot summer days. Scarves take up very little room and are easy to pack, to take on the plane and to carry with you as you walk around Rome. If you are planning to go to some event such as a wedding, opera or dinner at some special restaurant, then you might consider bringing something elegant to wear. Otherwise, keep your luggage light: you may plan to dress casually when dining in most Rome restaurants. It's fine to wear casual clothes such as khakis, jeans, tennis shoes, and sandals to many restaurants in Rome. But remember that in Italy, modesty is key. You won't find Romans dining in shorts and tank tops, so keep this in mind for going out to eat, and again, for visiting the sites. At the top of every page, you will find a menu with pages about Rome in every month. So also check there for what to pack for Rome during the month you will be travelling. A waterproof rain jacket and/or coat. Especially during fall and spring, when temperatures in Rome can vary a lot between day and evening, plan to layer, i.e. bring sweaters and cardigans. I love my lightweight yet totally waterproof hiking jackets by Colombia and North Face, that have a removable lining. Here is a men's version of the same kind of jacket: waterproof, sporty, and with removable lining. It's actually 3 jackets in one! You may wish to bring a small travel umbrella. These are also inexpensive and easy to buy from street vendors, who seem to appear in droves when it begins to rain. But if you want a better quality one, that lasts, try this one like mine that has an open AND close button. If you want to buy some here, there are a lot of lovely glove shops around, especially by the Spanish Steps, where you can find every type and color of glove imaginable! These also make great gifts. You still need to have something to cover your knees and shoulders for when you enter the Vatican or any Christian site. The sun can be very strong and sunstroke and heat exhaustion can be a real vacation downer, so protect yourself. Rome gets very hot in summer, and this means we get mosquitos. You can bring repellant or buy some here. I love these convertible hiking pants for hiking, but they are actually a life-saver in Rome in hot weather. You can un-zip and remove the bottom half of the leg for walking around in the heat, and put them back on for entering the Vatican or other church. Here's the men's version of the same type of pant with removable leg. They are one of the most perfect things you can pack for Rome in summer! A scarf, wrap, pashmina, stole...whatever you want to call it, bring one. In summer, I suggest 100% cotton, never silk which will make you hot. Some synthetic fabrics and wools can be ok to. Pashminas are also great on chilly airplanes. My mom always tells me to wear a hat, and she is right. 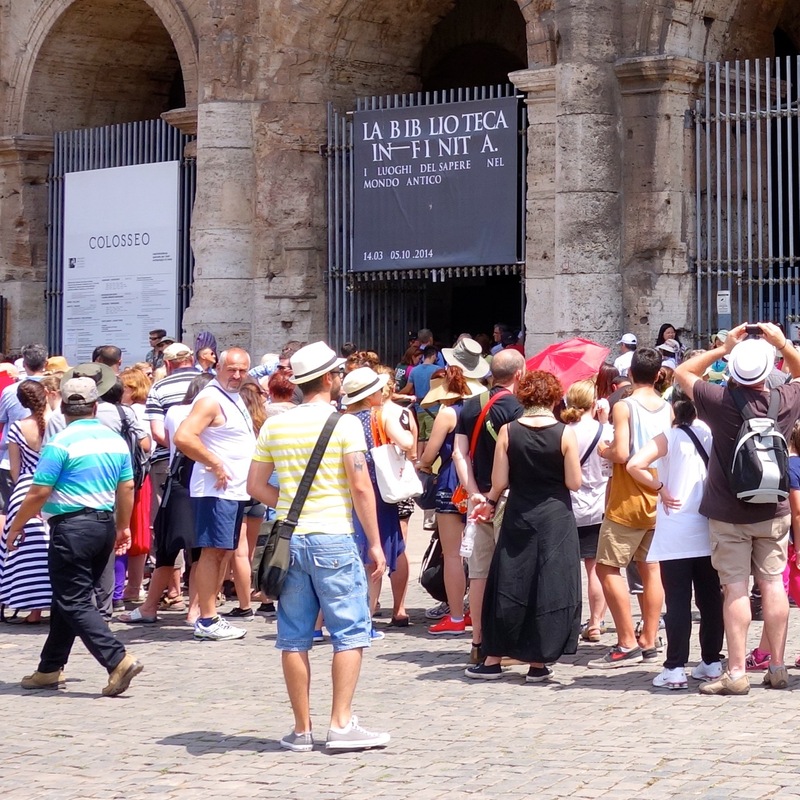 I love love love my Wallaroo hat and wear it all around Rome in summer. These hats are super easy to roll up, light and comfortable to wear, and best of all, have UPF 50+ to protect you from the sun's harmful ultraviolet rays. Another hat I wear, both hiking and in Rome, is by Tilley. Made in Canada, and perfect for sun, rain and wind, they have a lifetime guarantee. A great hat investment for any time. These chill packs have changed my Rome summer life! The little towels are made of some amazing material. Just wet it, and it will stay cold and keep you cool for hours. In your summer list of what to pack for Rome, if you are checking luggage, you may want to consider sunblock and mosquito repellent, as well. But you can also buy them here. Visit my page about how to keep cool in Rome for more tips on how to dress in Rome in summer. Even if you don’t have any beach time planned, you may wish to bring a bathing suit. We actually have quite a few beaches near Rome. So if you feel like cooling off with a day-trip to a beach near Rome, or even a dip in one of the pools in Rome that is open during summer, you will be equipped. Of course you are bringing your smartphone, iPad, and/or camera. And above, you'll find plug converters in my list of things not to forget. You might also want to consider these gadgets, which can make your visit to Rome so much easier. How I ever managed without this Anker Portable Charger is beyond me. Now I do not leave home without it. We all know how quickly those smart-phone batteries die. This little baby keeps my phone charged throughout a very long day running around Rome, and it weighs so little. This is a must for me, for travel or just life in general! If you are like me, you never really learn how to minimize your packing. This handy digital luggage scale will help keep you from that embarrassing moment in the airport when you have to re-pack on the floor, or, worse, when you have to pay over-weight fees. Don't let that happen to you! Want to land in Rome and immediately have data and a working phone? Sign up now for a pre-paid Orange phone plan that works all over Europe. This is a splurge but I always travel with my Bose noise-cancelling headphones (other brands and prices also available). One of my pet peeves is people talking through a night-flight. I am already going to be jet-lagged, I don't need to lose any more sleep due to noisy airplane neighbors. Not to mention that these headphones are great anytime, for the quality of the sound and also for the noise-blocking you might want in big, noisy cities like Rome. Thank heavens for this little sim card + memory card holder. It's slim, organized and perfect for travel when you have to swap out sim cards, and add memory to your camera. PopSockets! This little gadget has made a big difference in how I use and enjoy my smartphone. I can hold the phone more easily when taking pix or video, selfie or otherwise. I can set it down at an angle to watch something. And it's just easier to keep my phone in my hand and ready to take a photo at a moment's notice. Like so many great packing ideas, I got this one from my sister, who travels a lot for work. I personally don't use this as I'd rather not have to steam/iron at all! But, if you are coming to Rome for a special occasion like a wedding, or simply love having your clothes wrinkle-free (as my husband does), then this dual-voltage mini-steamer is a great thing to bring along. It's a shame I have to even list this stuff, but the reality is that pickpockets are part of the landscape in Rome (as they are in many places around the world), so you might as well accept that they are here, and keep yourself from becoming a target. Travel Vest with hiding and protective inner pockets - Scottevest makes clothes for men and women that allow you to keep all your gadgets in your pants or jacket, un-seen. Great for a) thwarting potential pick-pockets and b) not needing to carry a backpack. This Travelon cross-shoulder anti-theft bag is a must, and not just for travel! It has RFID blocking (nobody can walk by and scan your credit cards), and a zipper-lock. Its crossbody form, and small, thin size make it ideal to take on the plane, and for walking around Rome. Since I strongly urge you to bring a scarf with you to Rome anyway, why not pack this anti-theft scarf, where you can keep your stuff out of reach of pickpockets? How cool is this backpack - it's theft-proof AND water-proof! Excellent for touring around Rome and other European cities. This lightweight, comfortable RFID-block money belt is perfect for all seasons. You won't even notice it, and you'll have easy, safe access to your most important documents and money. I love this leather wallet with RFID protection. It actually makes a great gift for men and women, any time and for everywhere, not just travel. What to Pack for Rome - Be good to your Body! OPTP Original McKenzie Cervical Roll - I have this very item and I use it at home and to travel. If you suffer from any neck issues as I do, this cervical roll is a super, simple, and easy to pack item that will save you from a lot of pain! How cool is this soft neck travel pillow? I have never understood how those other horse-shoe shaped pillows supported your neck. But this one not only gives you solid neck support, it folds up small and takes up almost no space! Whether you're planning on staying at an AirB&B or a hotel, this aromatherapy travel pack will freshen the air and relax you. And don't you love the cute pouch it comes in? These silicone gel heel protectors are great for anyone suffering from bone spurs or plantar fasciitis, two very common foot ailments. Don't let painful feet ruin your day or your trip! Sorry to tell you this, but it's useless to bring American-voltage hair appliances such as curling irons or hair-straighteners when you come to Rome (or most places in Europe). Hair appliances that curl and straighten use very high wattage, and do not come standard with dual-voltage setting. A normal "voltage converter" does not cut it. You will more than likely short-circuit your hotel room or apartment if you plug one of these in. And, you will fry your appliance. You can buy a dual-voltage appliance. Just keep in mind that because they are made to work in both North America and Europe, they have to work with lower wattage, which makes them a little less potent than a single voltage appliance. You want to bring your own appliance? Then you will need a heavy-duty wattage converter. This is also called a step-down transformer. Basically, you need something that takes the wattage of your appliance down a lot so it does not fry. But then, you lose a lot of its power. Buy a European hair appliance either before you come, or once you are here. These will be the most potent appliances, because they are made specifically to work here and you will be able to use the full wattage. If you wait to buy one in Italy, go to a ferramenta, which is a hardware store. Why am I including travel insurance on a page about what to pack for Rome? If you are making a list of things not to forget, this should be one of them. I can't tell you the times I have seen our hotel guests arrive without luggage, or have documents and money stolen while travelling. Travel insurance can make the difference between a ruined trip and a trip that has a hiccup that you can just get through. I think travel insurance is one of the easiest things to forget about taking on your trip, but if you wind up needing it, you will wish you'd gotten it. Just saying. I go back to the states a lot to see my family, so I finally made myself a packing list. It has evolved over the years, and it's really helpful when I am stressing about what to pack. I have adapted it a bit for this website, and tried to make it as generic as possible. If you'd like to use my packing list to help you pack, you may download it here. 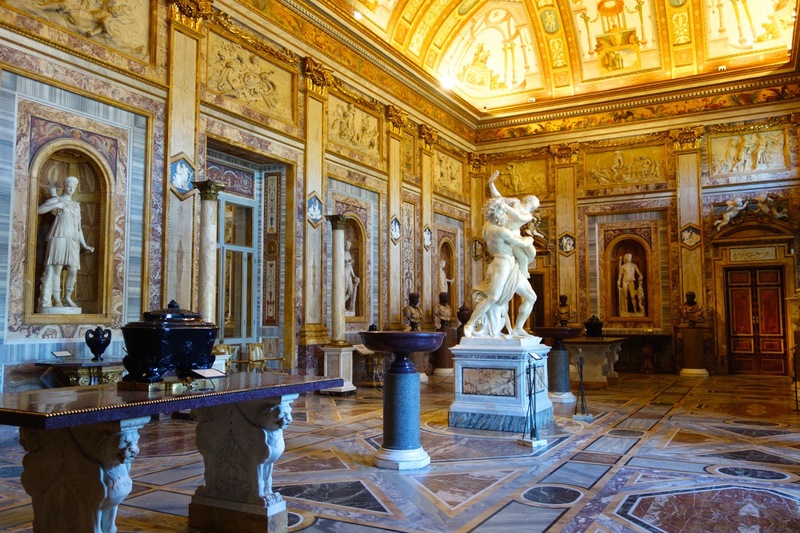 Want to share this page about What to Pack for Rome on Pinterest? Pin it here! Return to top of What to Pack for Rome.